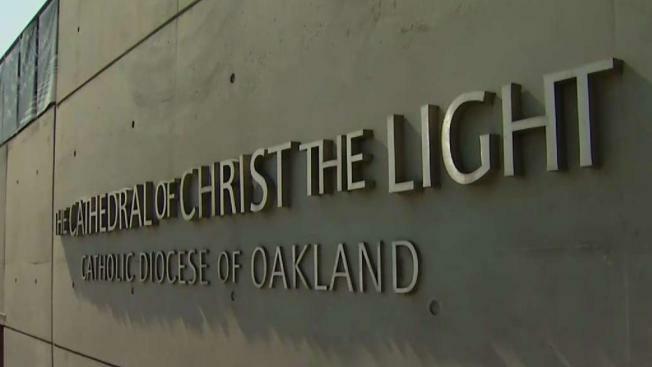 For the second time in recent weeks, a priest tied to a molestation case has resurfaced in the East Bay, just as the Oakland Diocese announced it will soon release the names of all clergy credibly accused of sexually abusing minors. Priest abuse survivors are saying these attackers are going unchecked. One victim, Joey Piscitelli, says Rev. Steve Whelan began molesting him in high school when he was just 14 years old. "I was at Salesian High School in Richmond in 1969 and 1970," Piscitelli said. "I was repeatedly molested by Father Steve. This priest kind of destroyed my life as a teenager." Nearly 50 years later, Whelan has resurfaced in the East Bay. Piscitelli found him listed in a Catholic directory, working as a bookkeeper at Berkeley’s Don Bosco Hall, an institute of Salesian studies. "I think most of the time, these priests are being taken care of, and the church knows darn well where they are," Piscitelli said. The revelation comes on the heels of another priest with a credible molestation accusation against him recently being allowed to preside over a Mass in San Leandro. The Oakland Diocese has apologized for that, calling it unauthorized. But the diocese says in Whelan’s case, it has no authority over him because he’s a member of the Salesian Order. A Salesian spokesman said the public has no reason to worry. “He can no longer be involved in ministry, can’t be around children," spokesman Sam Singer said. "He can’t even leave where he lives without approval of the supervisor of that facility." Abuse survivors don’t buy any of it. They believe the Catholic Church continues to cover up priest abuse, even while pledging to soon release lists of problem priests. "It’s like a big boys club, and they protect one another," advocate Melanie Sakoda said.